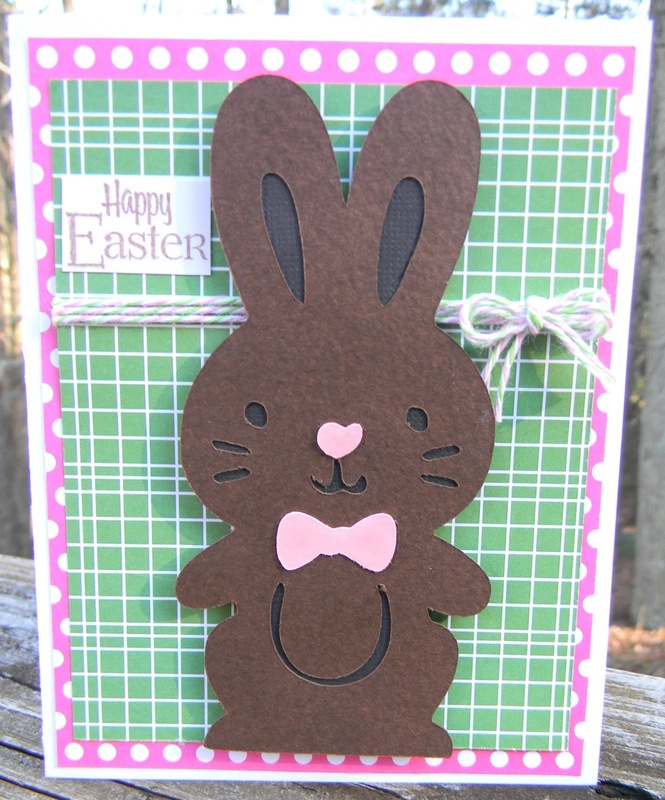 I made this card to go with an Easter Basket swap I am in. I think it turned out pretty cute! My person's favorite color is green. That is goes perfectly with pink and since I have some of the fabulous Watermelon Taffy Trendy Twine, I just had to add that :) And I added the Glossy Accents to the bow and nose but I just could not get a picture to show that. Check back tomorrow for my Trendy Twine post day! Back to a green theme too. So cute. I can just take a bite out of the bunny. This is super cute Helen!! 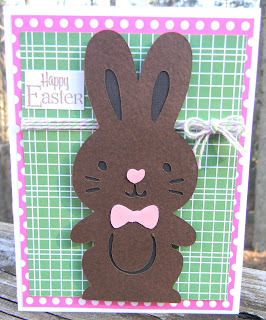 Great little bunny! !